imAndystorm.com. Singapore Lifestyle. Travel. Food. 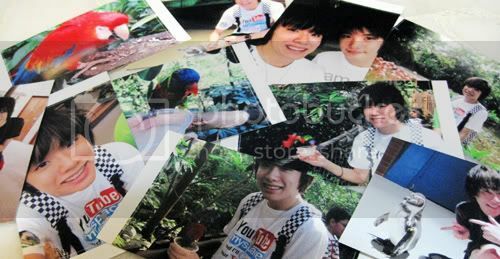 : Trip to Jurong Bird Park! 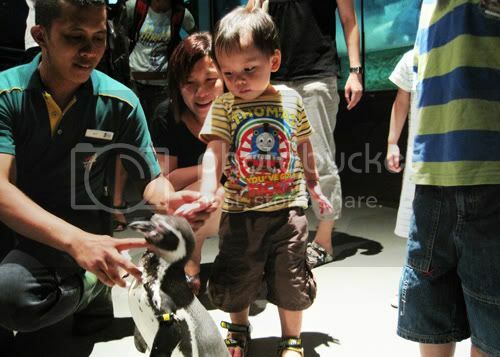 Trip to Jurong Bird Park! First stop was actually the "Magic Zone". A place for kids to entertain themselves with activities such as face-painting, or watch magician perform Magic but being BIG kids, I was more interested at the many flamingos behind :D It's really ALOT. The same act they use for like dunno how many years to get the audience involved. 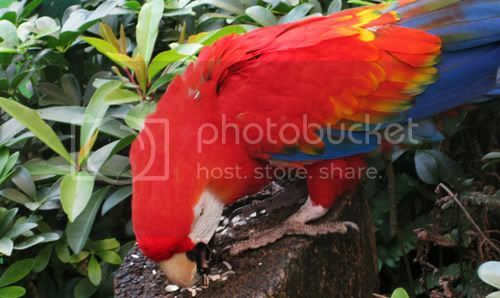 Nevertheless, it was still quite fun to see 2 parrots competing with each other! Parrots are like the "main leads" in these bird shows because they can do many things, like fly, no, I should use words like Soar gracefully through hula hoops. They give out free drink vouchers!!!! Yes, I'm the lucky one to be chosen! Out of Sooooo many people among the show, ME! 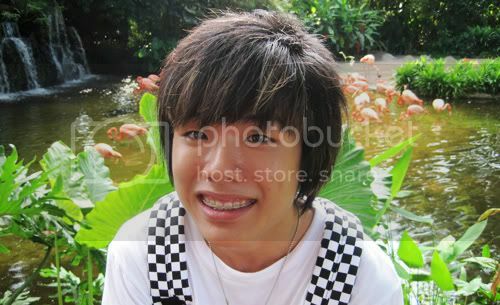 When the host asked for a volunteer who is not afraid of birds (although i am abit scared. ESPECIALLY CROWS), I waved my hand frantically, and I CAUGHT HER ATTENTION! The parrot flew gracefully across everyone and landed on my outstretched hand, placed the voucher on my palm, rested for like 5 seconds and flew back! Everyone was enjoying the show! At the end of the show, we get to go down near the stage to take photos with the parrots! This is the time where I get to see how good the camera is. Super candid shot. I'm not scared of birds lor! Just nice it was feeding time when we reached the exhibit! 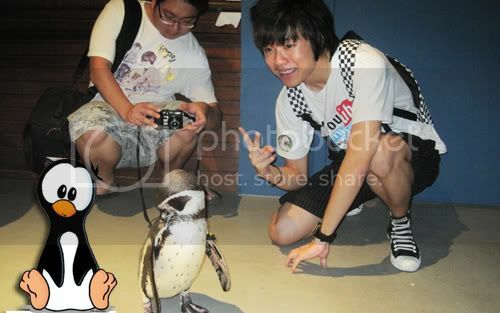 All the penguins were like chionging to the keeper when they saw the him. They are super huge, I expect them to be like small, short and cute =___= I think i watch too much cartoons. While the penguin is cute, the kids were even cuter! They like never see a real life penguin before! They are like fascinated by it and their actions are SUPER funny, everytime they touch the penguin, they will rush back and hug their mummy! 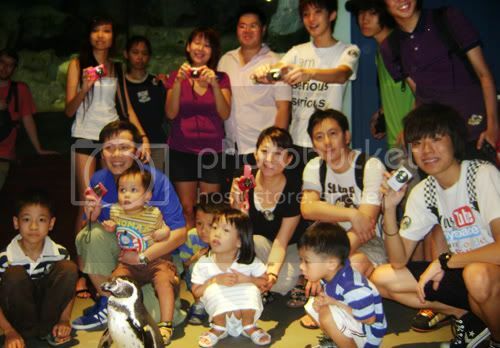 Here is one of the group photos with Pinky the penguin! Can you spot the 6 Canon bloggers? The pink colour one is nicer lor! 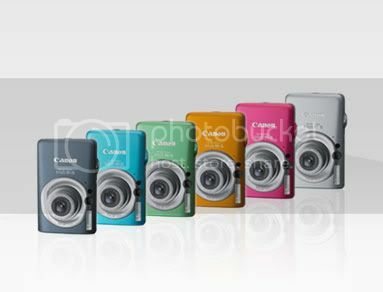 The camera comes in different colours. Feed the birds! Yes, you did not hear wrongly, it's FEED THE BIRDS. We were each given a cup of what they called the "special nectar mix" (which i think is barley lor! ), and we are supposed to walk around and attract those birds to fly to you! 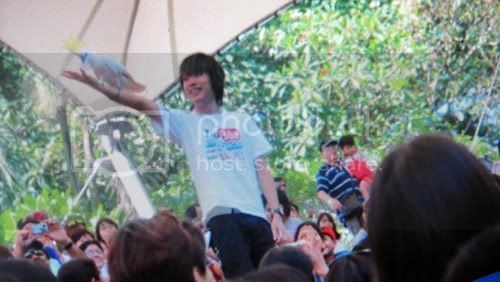 At first I thought that it's impossible that the birds will fly to you if they see you holding the cup, but they did! 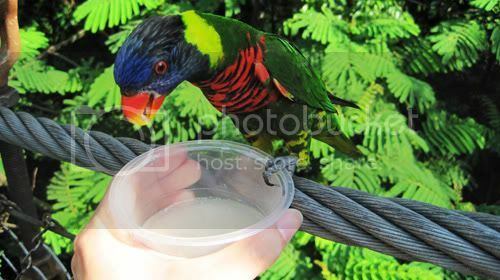 You just have to "signal" that you have food, and they will move near you and drink from your cup (: It's my first time! It was quite late by the time we finish feeding the birds + the weather was super hot, so we decide to call it a day. Wait, are those orange flamingos? 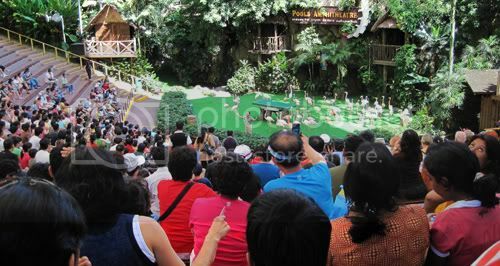 It's different from those that we first saw when we enter the bird park! With the 3x optical zoom and 12x Digital zoom, I was able to zoom at one of the flamingos! The photo is still clear! They are so pretty, esp when there is a lot. This marks the end of my Bird Park trip! Yes! 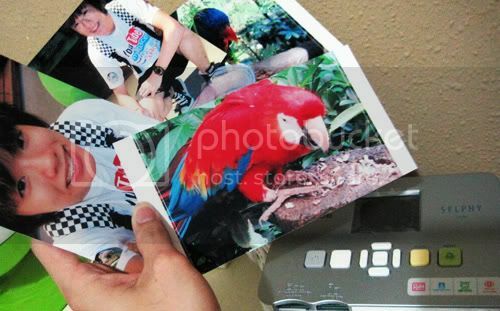 I get to print those chio photo out using my Selphy CP780! This is not a photoshop-ed collage. It's a REAL one. Alright, Hope you enjoy reading this post! 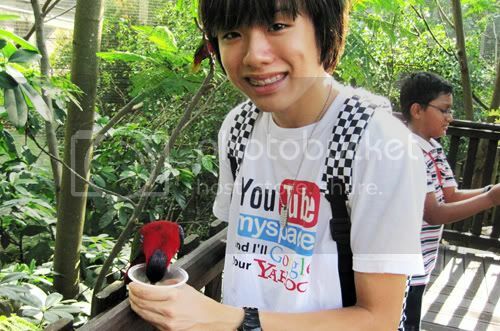 By the way, I think parents should bring their kids to these interesting places (Zoo, bird park etc) for a family day when they are young, There is so much to learn there! Don't wait till they grow older.